Notices are made when there is news to deliver to teachers or students. Notices can be checked under “Notices” in Loudclass Interactive. 1. Select “Write notice” under “Notices” > Group list. 2. Enter required fields (Title, Contents) and select the notice viewer. 3. Check “Urgent” if it needs be checked immediately. 4. Check the inputted information and select “Save”. 5. 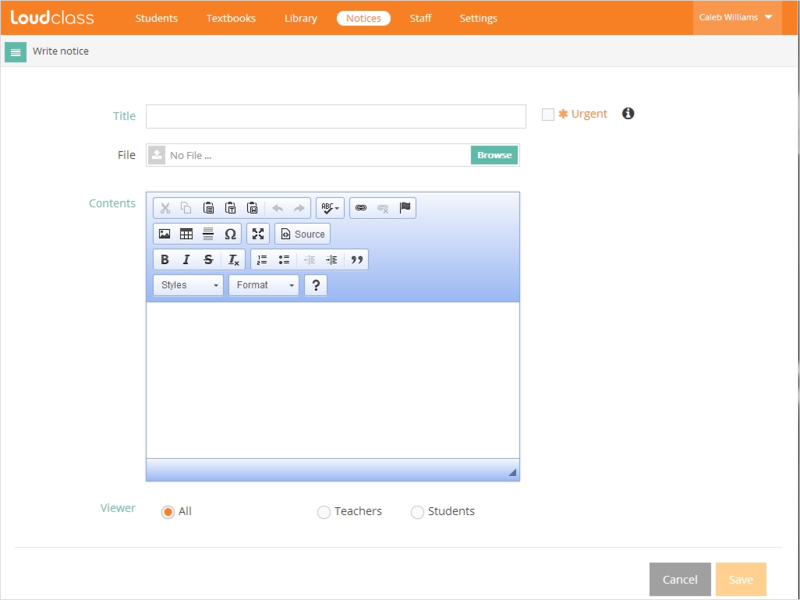 Saved students appear in a list under “Notices” and notices can be filtered by selecting the “Teacher” or “Student” group. 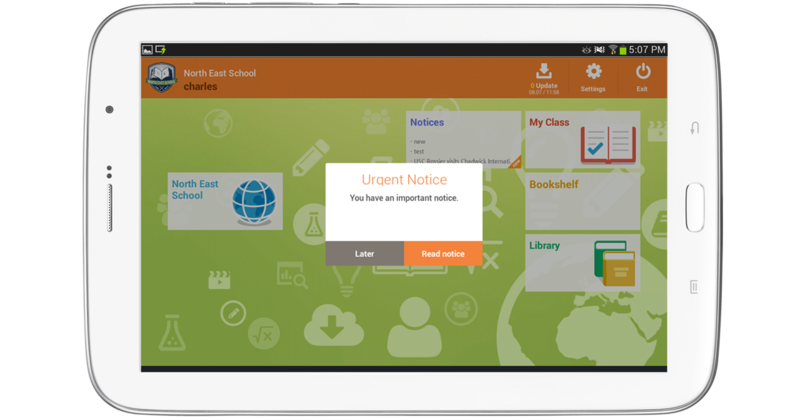 When there is an important notice for all the teachers or students, Check the “Urgent” box so that the notice pops up when Interactive is opened. Select notice viewer to set the target group to view the notice. Notice viewer is also used to group the notices. Teachers & students : The notice is delivered to both teachers and students. Teachers : The notice is delivered only to teachers. Students : The notice is delivered only to students.